Shravan is considered the holiest month of the year. Each monday of this month, known as Shravana Somvar, is a special day in Shiva temples where the dharanatra hangs over the linga or the idol to bathe it with holy water, day and night. Devotees pile the linga high with Bel leaves and flowers and fast till sunset. The nandadeep (24 hour lamp) burns steadily in the temples. • It is considered highly auspicious to wear a rudraksha in Shravan month. As, Mondays or Somvars of Shravan month are specially observed with austerity. All Mondays are devoted to the worship of Shiva as this day is sacred to Lord Shiva. No other Mondays of other months are so greatly honoured. • The belief is that in Shravan month, offering milk to Lord Shiva earns a lot of punya. 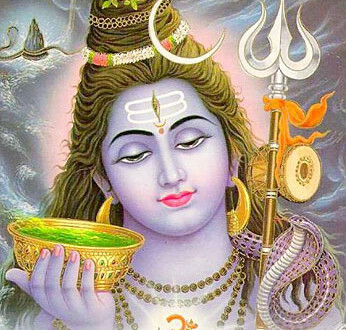 One of the name of Lord shiva is soma – saha uma. For the Lord someshvara Who wears the soma, the moon crescent on the matted hair, on the somavara day (Monday), this festival is observed. After taking bath pray to the Auspicious and Graceful Lord Shiva. Anointing the Lord with panchAmRitam and other pleasant substances, hail the Lord offering bilva leaves. During the day don’t take any solid food. U can take Milk/ buttermilk/ fruit juice/ fruits . After 6’o clock in the evening pray to Lord Shiva and break ur fast and eat normal solid food (avoid onions and garlic) . Your fasting should start from 12 in the midnight and ends at in the evening on monday. It is believed that one who fasts on all Monday of Shravan has all prayers from the heart answered. It is not necessary to undergo rigid practices. Even for this fast, different people may have different practises….e.g. some people may not have buttermilk or some may have specific mantras to be chanted. You can follow whatever gives you a peace of mind. – Monday: is the day of Lord Shiva worship. – Tuesday: Gauri is worshipped in every home, by women for the good health of their family. – Wednesday: are dedicated to Vithala, a form of Vishnu or Krishna. – Thursday: are also days for worshipping Buddh and Guru. – Friday: every home worships Lakshmi and Tulsi. – Saturday: are for Saturn (Shani). It is also known as Shravan Saturdays, with the object of object of obtaining wealth. These days are known as Sampat Sanivara (wealth Saturdays). – Sundays: are meant worshipping the Sun god. Sun worship was general in the Vedic period and even now it is so. Especially in Shravan, every Sunday the Sun is worshipped without fail. Shravan Mahina, or Sawan Month, is one of the holiest Hindu months and is dedicated to Lord Shiva in North India. Shravan Month 2016 is from July 20 to August 18. Shravan Month is the fifth month in a traditional Hindu lunar calendar followed in North India. This calendar is followed mainly in Uttar Pradesh, Himachal Pradesh, Madhya Pradesh, Uttarakhand, Rajasthan, Haryana, Bihar and Chhattisgarh and other North Indian states. A month in these regions is calculated from the day after Purnima or full moon to the next Purnima. The year in the Hindi Calendar is Saka 2073. 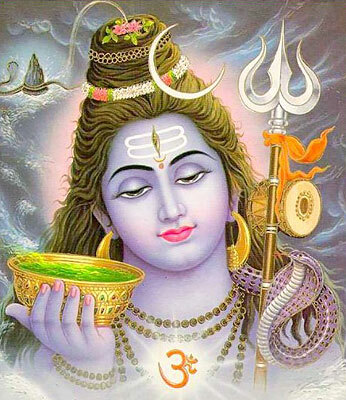 The Mondays or Somwar in Shravan month is dedicated to worship of Shiva. People make it a point to visit Shiva temples on Sawan Mondays – The Mondays in the month are on July 25, August 1, August 8 and August 15. Mangala Gouri Puja is observed on Tuesdays in Shravan Month. Chaturthi Vrat or Sankashti Ganesh Chaturti in Shravan Month 2016 is on July 23. The Chandrodaya or Moonrise time as per North Indian calendars is 9:09 PM. Amavasya is on August 2, 2016. The Amavasi begins at on August 1, 2016 and ends at on August 2, 2016. Purnima is on August 18, 2016. The Purnima Vrat is marked on August . Shravan Month is also the first month in the Chatur Maas – four holy months. Please note that Shravan month in calendars followed in Gujarat, Maharashtra, Karnataka and Andhra Pradesh begins on August 3, 2016 and ends on September 1, 2016.